UK Short Film (African Caribbean Leukemia Trust): Could You Be My Match? 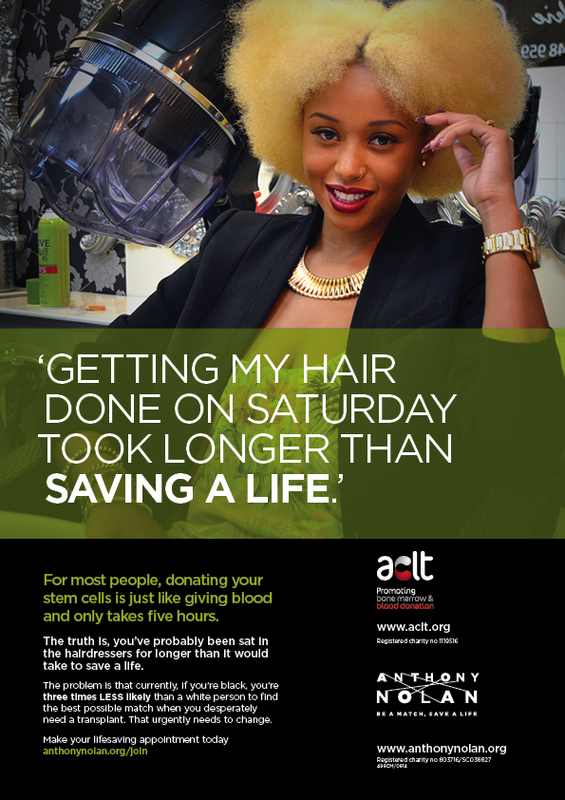 The ACLT’s donor registration drive will take place at Capital Xtra HQ, Global Radio Studios, 30 Leicester Square, London WC2H 7LA on Saturday 14th March anytime between 12pm-6pm. Registering is very short and very simple, all that is required is a cheek swab along with an easy application form. If you are between the ages of 17-55, generally healthy and weigh at least 7st 12lbs (50kg) please come along and sign up to become a life saver. I’m a blood donor and a marrow bone donor. I lost a cousin to Leukemia in 2011 , he was just 25 .I can never stress how crucial this issue is .Beverlee De Gale made this a top priority but I haven’t heard much since her son passed away a few years back . I thought she’d be the de facto go to person for this. It is difficult to get the message out there , people just feel its a-unnecessary b-its none of their business c-they are afraid of hospitals +needles etc.. Our donor pool is extremely small , we need people with our genetic make up , both full blooded ones and mixed race ones. This add is problematic on so many levels , its the easiest way to insult black people and particularly our women . The message is basically , black women do not care about black people.And this add features a modern day blinged-up Gold digger ..Whoever designed this is a complete idiot .A typographic concept with the colors red and black would have done the job just fine.